Once you have published your recorded broadcasts to your showreel you may want to rename or update them, or even delete them so they are no longer publicly available. This article will show you how to do this. On the showreel page select the 'Settings' button in the top right of the showreel item. 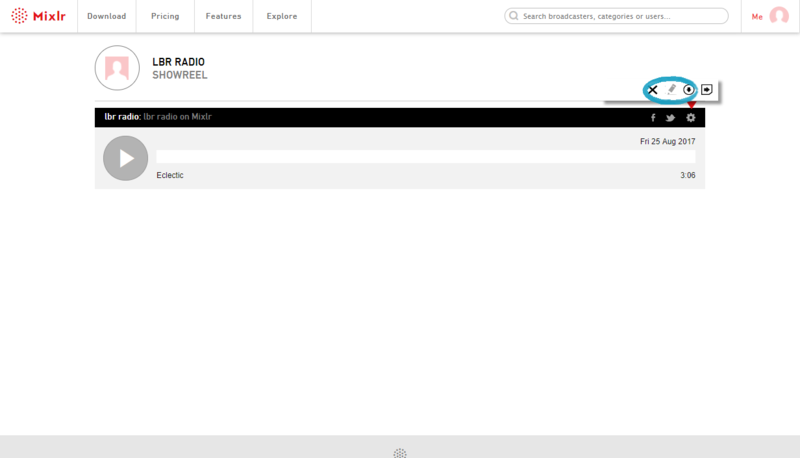 TIP: if you don't see the 'Settings' button it's probably because you're not logged in to this Mixlr account. Click the 'Delete' button to delete this broadcast from your Mixlr showreel. This cannot be undone, so do not select this option unless you're sure you want to delete the recording! 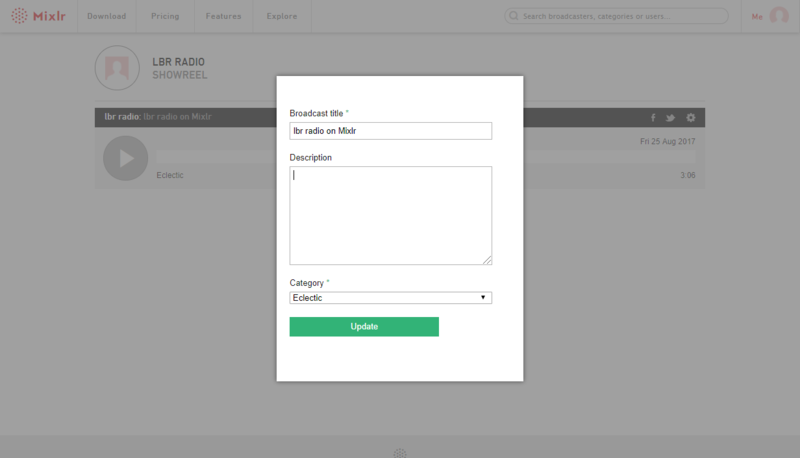 Click the 'Edit' button to bring up another menu from where you can edit the title and category of the broadcast recording and add a description. 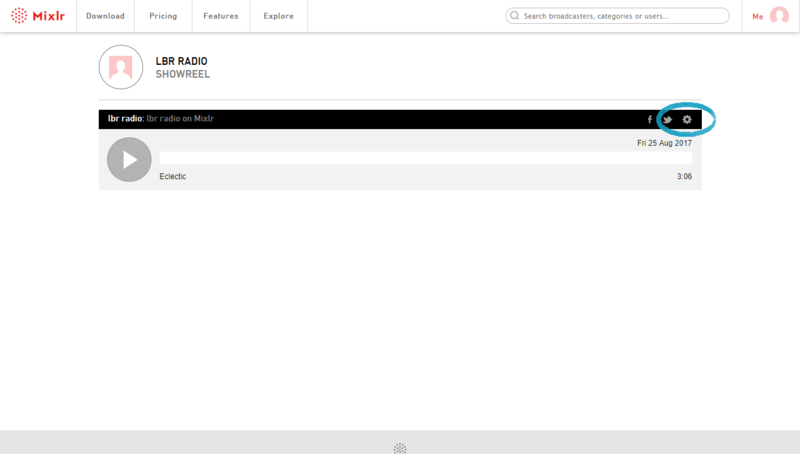 Click the 'Download' button to download your broadcast recording to your computer. TIP: currently it's not possible to download your recordings to a mobile device. 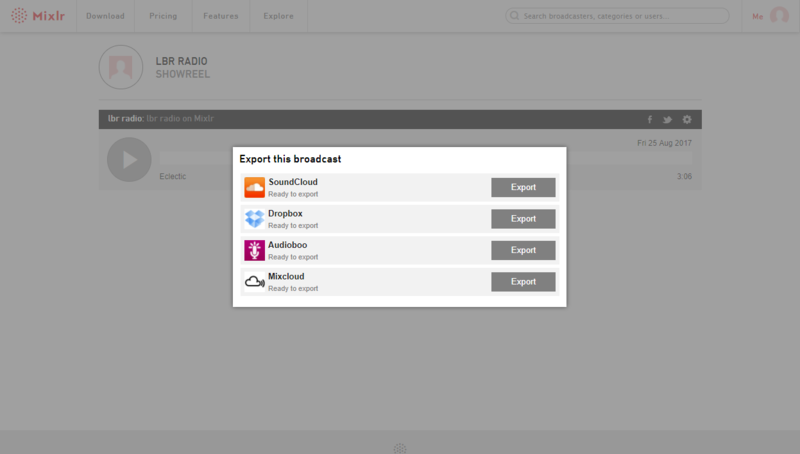 Select the platform to which you want to export your broadcast and click the 'Export' button. TIP: make sure you have connected the service to which you want to export your broadcast first. If it isn't connected yet you won't be able to click the 'Export' button. 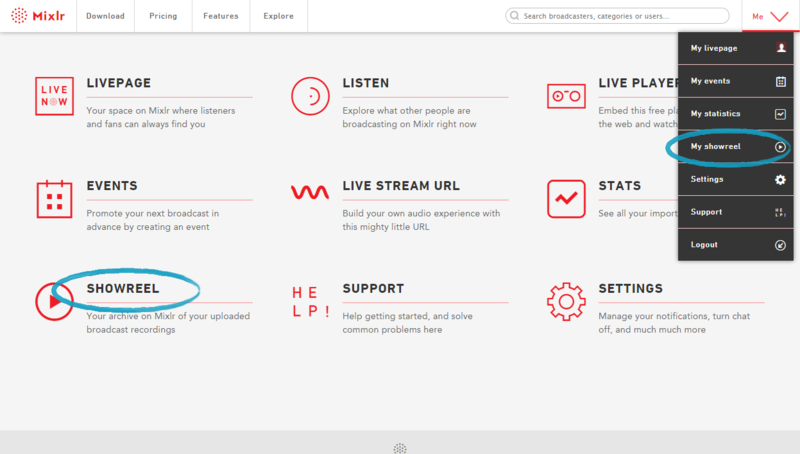 Click here to find out how to connect these services to your Mixlr account.